HERE ARE SOME ANSWERS TO THE QUESTIONS THAT WE GET ASKED THE MOST, WE’LL ADD MORE AS THEY POP UP! I’M 17, CAN I GO TO INDIEPENDENCE? No, INDIE17 is strictly over 18’s. I HAVE A DAY TICKET, CAN I CAMP WITH THIS? No. Day tickets allow access to the main arena only on the day of performance. You will not be permitted access to the campsite. Yes, shower facilities are available in the main campsite. We do NOT allow gazebos onsite. Patrons will be asked to return them to their cars. I ORDERED MY TICKETS BUT THEY HAVEN’T ARRIVED YET, WHAT SHOULD I DO? You should contact your ticket provider directly via point of purchase. You can bring your own alcohol into the campsite (as long as you’re a camper). This is restricted to 24 cans or 1 litre of spirits in a plastic bottle per person (Or half of each, common sense will be used). You cannot bring your own alcohol into the main arena. Please enjoy alcohol responsibly. Alcohol access is restricted to your first entry only. Once you have your wristband on you will not be allowed to re-enter so please ensure you bring it with you on your first trip in! WHAT ELSE CAN’T I BRING WITH ME? The following are not allowed on site; glass, knives or other dangerous kitchen utensils, candles, gas canisters, barbecues(including disposable) or anything else that could be viewed as dangerous or offensive. There will be a significant security presence on site at all times as well as members of An Garda Siochana. Illegal behaviour will not be tolerated and you will be removed from site and possibly arrested. 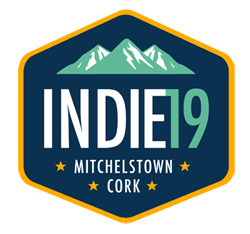 Security at INDIE18 will be very strict during bag search and entry. This is done for your safety and to maintain a prevention rather than cure system. Please be patient when entering the site, its for your benefit in the long run. I BOUGHT A VIP UPGRADE, WHERE DO I GO? You are entitled to queue skip on arrival so look for this and take advantage of it! The VIP Campsite is adjacent to Gate 1(Camping Car Park Gate) but is also just a short 3-4 minute walk from Gate 2 if you do get dropped off. Once you are through the initial search and wristband, you can head straight to VIP camping and set up your tent. The Indie garden will be open in the Arena until midnight daily.